As a guest, you should make friends with the host of any fine restaurant you attend. Making friends can be as simple as being kind on the phone, and making your requests as nicely as possible. Shouting, insulting, belittling or otherwise making a scene will get you the minimal amount of service from a host, and may even get you 86’d depending on the hosts’ reputation with the restaurant’s owners. The worst thing you can do with a host is point to another table you see in the dining room and ask if you can have that one instead. A good host is wrangling a ton of logistics simultaneously, and trying to make it look effortless. She always knows something you don’t. She knows a lot of things that you don’t, in fact. She knows that table might look enticing, but there is a draft from the front door and she noted that your date is wearing a strapless dress. She might know that the server in that station just got a very high maintenance table before you and your service might suffer in that station. She knows that a party of 20 is coming in half an hour from a college graduation and they will be right next to that awesome looking table. She could try to tell you this, but you probably wouldn’t listen. She also knows that if the three other tables waiting at the front desk see you employ this little trick, they are all going to try it. And that would mean chaos. If you make your requests in advance, even if you request “a romantic table” just before she walks you into the dining room, you are 100 percent more likely to be accommodated. A host must be pleasant all the time. She is trying to seat the dining room evenly, to accommodate everyone’s special requests, and ensure that tables clear in time for the next seating. She needs to graciously field calls for the managers and owners, she must assign stations in the dining room to the front of house staff, take to-go orders over the phone, sell retail merchandise, give directions from any part of town, know the history of the restaurant and the chef, check the ladies’ room every thirty minutes to ensure it is clean and stocked, all while ensuring that the phone never rings more than 3 rings and that no guest waits un-greeted at the front door for longer than a minute….. and receive birthday cakes, floral deliveries, check coats and luggage all while wearing a cocktail dress. Hosts typically get paid a bit more than servers and other tipped staff because they don’t get as many tips, usually, and they have larger responsibilities. Yes, the servers ‘tip out’ the hosts, usually 1-4% of their tips from the dining room (usually $1-10 per server). So if the host checks your coat, tucks away your two heavy suitcases, or arranges for the flowers you had delivered to be set on your table prior to your arrival, tip her. Usually a dollar or two per coat or bag checked, and $5-$20 for any additional service. A dollar or two handed over when she packs up your dinner for four to-go, labels everything, and adds a couple of extra sauces is also good restaurant karma. Demanding to jump in line on a busy night by offering a fifty dollar tip….? In some places that can get a host fired, so it is generally best to avoid putting someone in this position. Posted in Restaurant 101, Restaurant Etiquette	Restaurant 101What does everybody do? 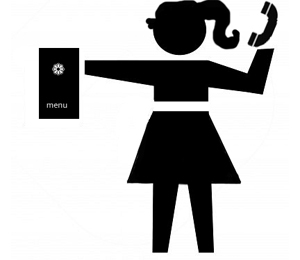 < Previous Restaurant 101: What’s a busboy do? Next > WSE Featured on ehow.com!!! !